Web-based tools continue to proliferate, giving teachers more to add to their arsenal, but it can be hard to determine which resources are worth spending time exploring. At the International Society of Technology in Education (ISTE) conference this year, Adam Bellow, founder of EduClipper, and Steve Dembo, Online Community Manager for Discovery Education offered a quick run through of some favorite apps. The two educators are early adopters of ed-tech classroom strategies and have a lot of experience with tech integration. 1. Padlet used to be called Wallwisher, but it got a makeover and a name change recently. It’s essentially a virtual board with sticky notes that can be easily moved, shared and embedded. There are several views, including something that looks more like a scrollable blog and it’s easy to both personalize the experience and organize notes. The privacy and moderation settings make it easy for students to become members of a board where a teacher can post resources and encourage them to do the same. “It’s a great way to quickly share resources with your kids and moderate what they post,” said Bellow. 2. Ipiccy is like free Photoshop, but less complicated. It has intuitive editing control panels that allow for the simple things like filters, effects, cropping and resizing. It’s also easy to undo anything that didn’t turn out as imagined. But if the project requires a more sophisticated treatment, Ipiccy has layers that like Photoshop allow a user to make very professional final products. Best of all, it’s easy to upload projects to Facebook, Twitter and other social networks that a class might be using to house finished work. 3. 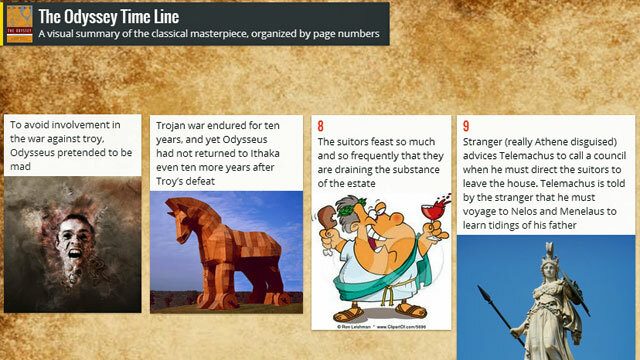 Thinglink allows a user to add content to images. For example, a student could display a map of Washington, D.C. and add a video explaining how a bill becomes a law over the Capitol building. And it’s easy. The user just clicks a spot on the image and adds text, a link to a website, or an embed code for video. It’s a quick and easy way to make a project more dynamic and interactive. 4. Easel.ly is a fairly easy way to create an infographic, a visual depiction of information. The tool offers set themes that can be dragged onto a blank canvas to give students somewhere to start. A good example is a map of the United States with bubbles highlighting statistics about specific areas. Then icons can be added, sized, and edited to visually represent information. It’s good for those uncertain of their tech skills, but who want to begin integrating some digital tools into the classroom. It won’t do the work for you, and it forces students to represent what they know at the end of a research project, while giving some creative license. “Instead of giving a paper or project, this is a great way for them to break down concepts visually,” Bellow said. 5. The Noun Project is making clip art icons for every known noun making it a perfect place to look for the images needed for a precise infographic. It can take a lot of time to find a perfect image of a cracked cell phone or a specific kind of dog and the Noun Project makes that a little easier. 6. Infogr.am is another tool to visually represent information. It has templates that allow you to throw in your facts and build beautiful charts to represent the information. 7. Poll Everywhere has been around for several years, and a familiar tool with many teachers. It’s built with HTML 5 so it can be used with any device and is responsive to screen size. Teachers can create both multiple-choice questions and open ended questions that student respond to via text. Students get excited that they can use their phones in class and teachers gain valuable feedback about how well students understand a concept. 8. InfuseLearning is the student response suite challenger to Poll Everywhere. It’s a simple interface that’s free to teachers and it doesn’t require any advanced planning or setup. In real time teachers can send out questions, prompts or quizzes and have students respond in a variety of formats; true/false, multiple choice, open ended, even with a doodle. It also has an audio function that includes language translation, opening up more use possibilities. 9. BigHugeLabs provides a great way to make posters and trading cards easily. Best of all, using the free education-specific login students won’t see any advertisements. It’s good for younger kids or an older kid who wants to put together a presentation fairly quickly. One great use would be a movie poster featuring themes and characters of a book. 10. Sign Generator allows users to create their own clip art by changing the letters in photos of signs. The tool provides over 500 templates or a user can upload a photo of a sign and change the letters around. It's a fun way to get creative. 11. Delivr creates QR codes, the codes that a mobile device can easily scan and trigger an image or website. QR codes were a theme at ISTE this year; educators displayed interesting ways they use them including as a way to engage students as they come into class or in a treasure hunt format. The nice thing about Delivr is that it will remember all the QR codes ever created and users can edit and change associated urls if to send users to a different website. That adds some unpredictability and suspense to the day. “It becomes the Easter egg for your classroom that gets kids thinking about what they’re going to be learning in class that day,” said Dembo. 12. Aurasma is a free app that lets a teacher turn any object into a QR code, rather than just a square bar code, and plays with the idea of augmented reality. Students can hold a mobile device up to an image, such as a bulldog, and be taken to a website, a video or an image about bulldogs. “It’s a blend of virtual reality and reality,” Bellow said. 13. WeVideo is a simple web-based video editing tool that turns video projects from a huge time sink to an easy and fun experience. “This is one of these things that every teacher should have at their disposal,” said Dembo. The tool allows users to upload content, save it in the cloud, and can link to other storage space like Google Drive. It can be powerful for making student-centered projects because it allows students to mute parts of the base video, record themselves and add that narration to the video. The video can be published using different file sizes, the smallest of which is free. The tool also offers a number of themes, effects and transitions to spiff up any video.